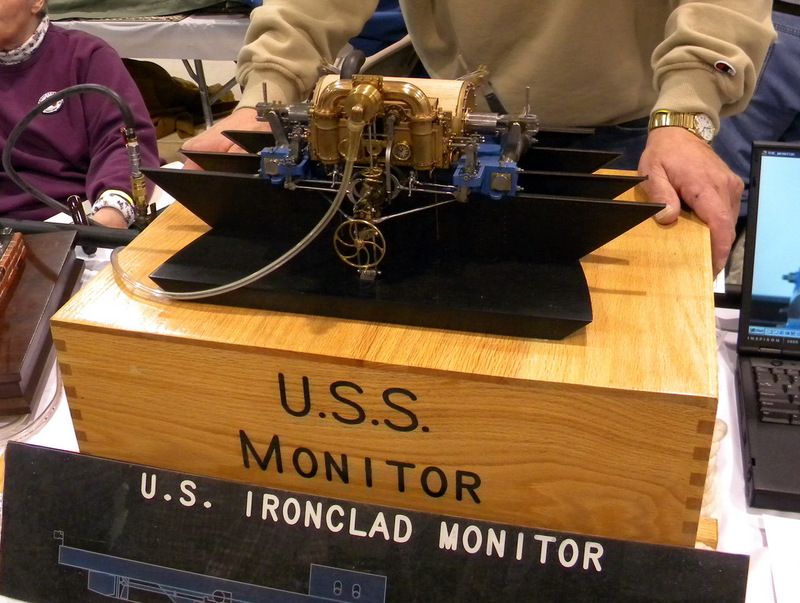 Richard Carlstedt’s incredible working model of the ironclad U.S.S Monitor’s steam engine. Something new this year was the big pile of dirt the show’s organizers brought in for a huge model of a dragline excavator that was kept busy filling up radio-controlled dump trucks. Playing in the dirt looked like a lot of fun and now I’d like to know where I can buy a radio-controlled bulldozer. As usual there was a huge indoor tank the organizers constructed for radio-controlled model boats, many of which were steam powered. I’m not sure, but I think it was at least 50 feet long, 25 feet wide and 15-inches deep. Unfortunately, I didn’t get a chance to see the 3-foot long submarine in operation. There were also two huge oval tracks for steam-powered model trains. I’m not sure what gauge they were but the locomotives looked like they were about 15 to 18 inches long. There were also some trains that were big enough to sit and ride on. In addition, the organizers supplied compressed air to hundreds of feet of display tables for model steam engines to run on. In other words, the organizers (and sometimes the exhibitors) went to a lot of trouble and expense to make it an interesting show. Admission was still only $10 for the entire weekend. David Baker demonstrated his RapMan, a 3D printer kit that you can buy for about $1500. I was impressed by the quality of the parts it made, which hasn’t been the case with similar hobbyist machines I’ve seen. David was part of a huge group that was there from the New England Model Engineering Society (NEMES) which meets in Waltham, MA. Their club’s annual model engineering show is coming up soon on February 19, 2011. I attended last year’s show and really enjoyed it and the museum it’s held in. There were more displays and vendors of CNC equipment this year. One was ArtSoft, the popular CNC controller software Mach3. Their leader, Brian Barker, answered questions throughout the show and gave a talk about what his company was doing and what new features we can expect soon. He said they’ve been busy transitioning from being a “virtual company” to a “brick and mortar” one by adding more programmers and support personnel. There haven’t been many noticeable new features added to Mach3 lately because they’ve been busy rewriting much of the core software so it works better and is more compatible with newer versions of Microsoft’s Windows. But we should see some more visible changes soon. A majority of Mach3 customers are now commercial users and CNC equipment manufacturers but Brian promised us they would not abandon the hobbyist market and would continue to keep the price affordable. Lynn Anfinson demonstrated his “Poor Man’s EDM” which looks like it would be very useful for burning out broken taps, which is why he built it. It’s made using 50 to 70-feet of 12-gauge wire, a piece of PVC pipe, a short length of metal tubing, some alligator clips, a car battery and a few inexpensive odds and ends. He uses water for his dialectric liquid because of the flammability of kerosene and the high cost of non-flammable EDM fluid. (Mr. Anfinson, let me know if you’d like some help creating a web page or web site so others can learn about your project). There were many projects on display that required an enormous commitment (determination is probably a better word), a great amount of skill and thousands of hours of work to complete. I was particularly impressed with Richard Carlstedt’s model of the Civil War ironclad USS Monitor’s steam engine. I talked with Mr. Carlstedt for a while, but I have a poor memory and have trouble taking notes when I’m having a conversation, so I can’t give you a lot of specific details about it. (I need to buy a voice recorder and use it the next time I talk with someone I might write about). But I can tell you that he is an incredibly skilled craftsman and very modest. I believe it took him 6 years of research and construction time. He had to make his own plans because none were available and until fairly recently the original was sitting at the bottom of the Atlantic Ocean. Oh, and it wasn’t the only incredible engine he brought to the Cabin Fever Expo. I also really enjoyed talking with Tom Meeks of Defiance, OH. He had a table full of interesting projects that I think many home machinists would be very interested in making. I’ll be writing more about him later. Jensen and Wilesco steam engines seem to have become a popular collector’s item. They were many of them on display and vendors were selling both new and used ones. Robert Bahney’s very nicely painted and polished hit & miss engine caught my eye. I assumed it was made from castings and was surprised when he told me it was made from barstock and sheet metal using Harold Depenbusch plans. Bob was there with his neighbor, John Romberger, who also had a collection of very impressive engines. They were from Elizabethville, PA.
John Schneider of Bridgeville, PA gave me some very helpful tips about low-temperature-differential Stirling engine construction. Most people probably didn’t pay much attention to the smallest engine he had on display. It’s an impressive achievement because an LTD engine that small produces so little power it has to be designed and built almost perfectly to run. It seems like all the exhibitors were modest about their achievements and John was no exception. I found out later on the Internet that his engine won 6th place in the 15th Annual Sherline Machinist’s Challenge. I had a nice stay at the Hampton Inn, which was one of a number of hotels that offered a discount ($82/night) for show attendees. You can find a list of them on Cabin Fever’s web site. I’m partial to Hilton hotels, although I worry sometimes that by staying at them I’ve helped contribute to Paris’ delinquency. I also had a great meal at the Texas Roadhouse restaurant which was about 100 feet away. I highly recommend eating at one if you ever get the chance. But get your name on the list early. I had to wait almost an hour and a half for a table. I’ve been kicking myself for not bringing something to exhibit and I vow that next year I will. 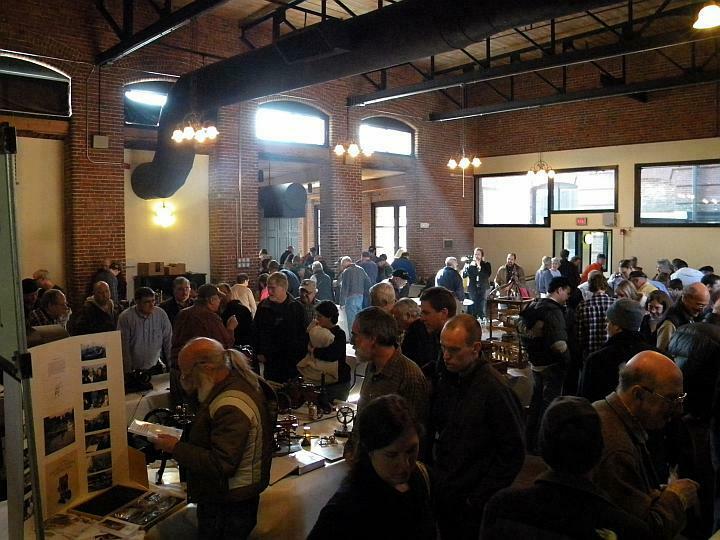 This picture shows just a small part of the steam engine exhibit area at the annual Cabin Fever Model Engineering Expo in York, PA. The show is huge and unfortunately I don’t have any photos that can show you just how big it is. 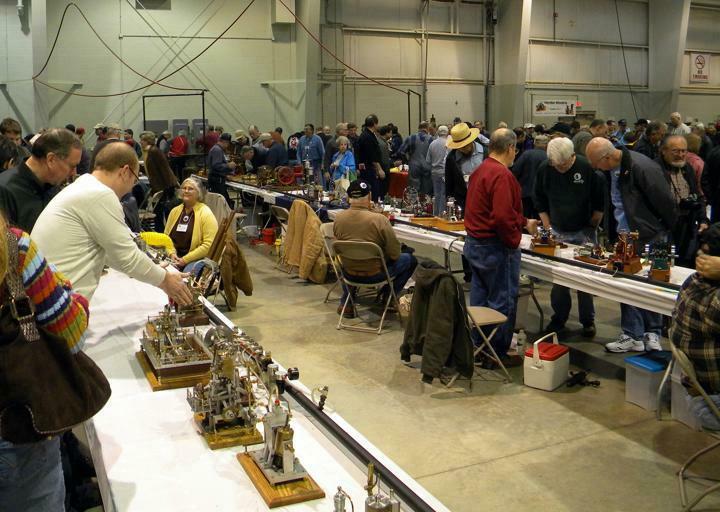 We’re about a month away from the 15th annual “Cabin Fever” Model Engineering Expo in York, PA. I went last year and wrote an article about it. It was was my first model engineering show and I really enjoyed it. So I’m going back again next month. 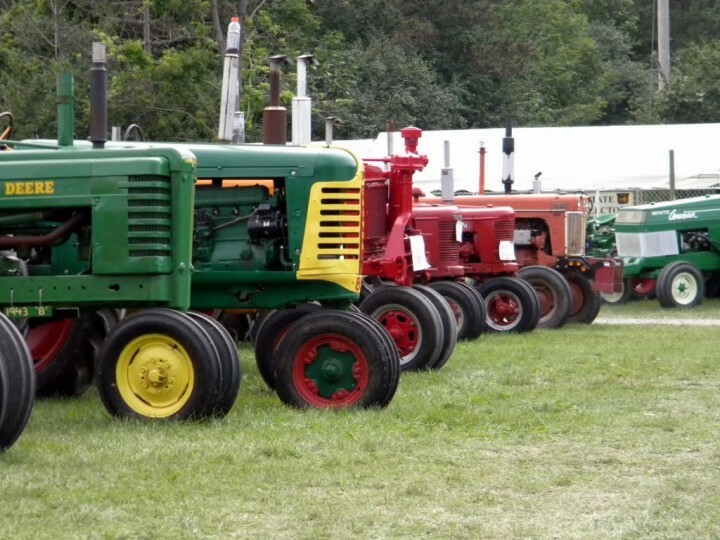 “Cabin Fever” is one of the oldest and largest shows of its kind, and certainly the largest in the Northeast. I think you would be welcome to exhibit any kind of model at the show but most are made from metal. So it’s a bit of heaven if you’re interested in machining and metalworking. Model engines of every kind, which you will often be able to see in operation. 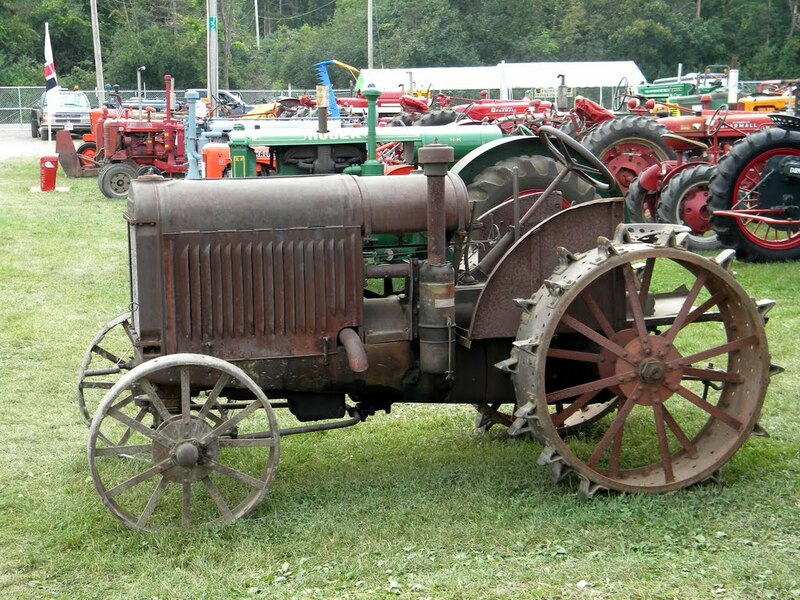 There will be steam engines, Stirling engines, hit & miss engines, and more of all kinds and sizes. 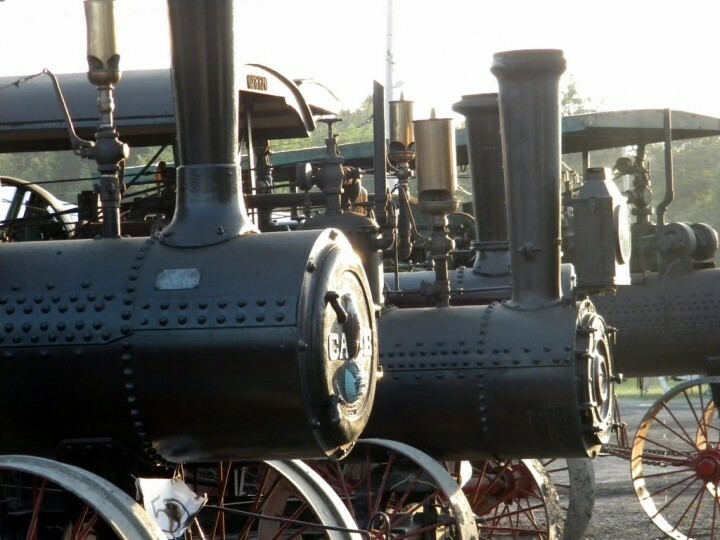 Compressed air is provided for steam engines that will run on it and internal combustion engines are allowed to run on small amounts of clean-burning lantern fuel. Model trains, including “live steam” railroads. Model steam boats and submarines operating in a huge indoor tank. Other models such as cars, airplanes, guns and who knows what else. Over 100 vendors selling all kinds of new and used tools, machines, materials, parts, plans, kits, books, and much more. Exhibit something, even if you only have one thing to show. Anyone can exhibit and it’s free with admission. You’ll get table space, a chair to sit in and some other perks. Admission is $10 for the entire weekend. There’s lots of things to do in the area if you have family members who don’t want to attend the show. You can tour the Harley Davidson assembly plant in York on Friday. You’ll also be in the middle of Pennsylvania’s Amish country and nearby Lancaster has a huge amount of shopping and other attractions. There’s a concession stand at the arena that was better than many others I’ve experienced, but from noon on it was very hard to find a place to sit and eat. You may want to plan ahead and bring a lunch to eat in your car or go to a nearby restaurant. Try to avoid the traffic and stop lights of Harrisburg at rush hour on Friday night, which is what my GPS led me into. How about dinner after the show on Saturday? The only thing I didn’t enjoy last year was eating dinner by myself after the show on Saturday. So I’d love it if you’d either join me or let me join your group. I’ll be easy to recognize. I’ll be one of the tallest people there and I look something like this, only a little grayer.